LitCam initiates projects with a focus on mediating basic skills like reading, writing and arithmetic as well as using (digital) media. The projects “Football Meets Culture” in Germany and “Books Say Welcome“ aim at preventing social exclusion by improving chances for disadvantaged groups. LitCam is led by its mission “Competence for Life”. 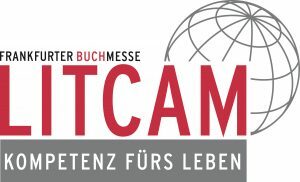 During Frankfurt Book Fair the LitCam stage is our platform to transmit our ideas and projects to a broader public. Every second year we grant the „Lese-Kicker – The award for the best German speaking football children book and football youth book“ with a top-class jury including Manuel Neuer and more than 100 school classes.